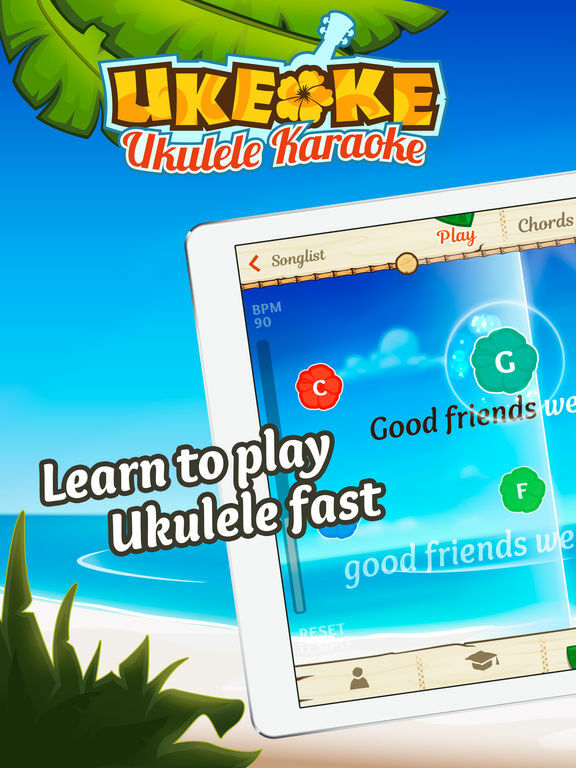 [prMac.com] Helsinki, Finland - Musopia's Ukulele Karaoke Ukeoke app, available for iOS, tvOS and Android, makes it easy to learn how to play your favourite songs with your uke: the karaoke-style display with lyrics, adjustable backing tracks and high-quality tutorials by the world's best guitar and ukulele teacher JustinGuitar makes learning fast and fun even for absolute beginners. The new completely revamped version of this popular app comes armed with an advanced sound detection system that listens to users's playing and gives the user valuable and helpful feedback based on the user's performance. "We want to track but not nag." says Topi Lopponen, the CEO of Musopia, the developer of Ukeoke, "Getting your timing right by the millisecond is not important, but the joy of progressing and learning to play songs is." Topi continues with an example: "For example, Ukeoke analyses that the player plays the G chords otherwise perfectly, but every time when there's a chord change between another chord and G chord, the first G is not right. In that case, we can tell the player that "great - you know the G chord perfectly right, but you may want to slow down the tempo a bit so you have more time to place your fingers right when changing the chord". Finland-based music software developer company Musopia creates apps that make a difference in how people learn to play instruments. "We wanted to create a shortcut to the fun part of playing," explains Topi Lopponen, Musopia's CEO. "The wow-I-can-really-play moment is the emotional stage we want beginnier players to reach as quickly as possible. The enjoyment of early successes makes beginner players eager to learn more. We get them practicing a few chords that will enable them to play thousands of songs. The best part is, they can do it together with their friends, family or classmates: no more lonely plinking of unknown songs." Musopia's popular karaoke apps for guitar and ukulele, FourChords and Ukeoke, are also very education-friendly. The catalogue consists of easy-to-play versions of 1500+ hit songs, which are playable with knowing only a few chords. Furthermore, the karaoke style presentation of lyrics, chords and backing track make Musopia's karaoke apps well suited for educational purposes. Teachers can find plenty of songs from the app that students love and engage a whole group of students with different skill levels and different instruments to play together. It's features like these that have enabled Musopia to forge strategic partnerships with leading music education organizations like Little Kids Rock, Guitars in the Classroom and Musical Futures. 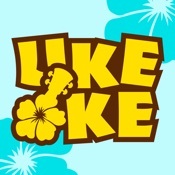 Ukulele Karaoke Ukeoke 2.0 is Free and available worldwide through the App Store in the Music category. There is also an Android version available on Google Play. For more information, please contact Paula Lehto. Based in Helsinki, Finland, Musopia Ltd is a mobile app development studio dedicated to creating fresh and innovative music software that makes playing music easier. FourChords Guitar Karaoke, ChordShaker Pocket Guitar and Ukeoke Ukulele Karaoke are the first apps from this team of guitar enthusiasts and IT professionals. All of these apps have been featured by Apple as "Best Apps" and reached TOP10 Music rankings in more than 40 countries, with millions of jamming sessions on iOS and Android devices. Musopia is working together with the instrument industry and non-profit organisations like Little Kids Rock and Guitars In The Classroom in order to give more people a chance to enjoy making music. All Material and Software (C) Copyright 2017 Musopia Ltd. All Rights Reserved. Apple, the Apple logo, OS X, iPhone, iPod, iPad and macOS are registered trademarks of Apple Inc. in the U.S. and/or other countries. Other trademarks and registered trademarks may be the property of their respective owners.